Last week we reported on the negative impact the release of photo/video-sharing app Instagram had on its rival Vine, a Twitter product. In the immediate aftermath of Instagram’s release, Vine’s popularity declined rapidly. This week, in an apparent attempt to regain some traction, Vine released a new version of its iOS app. Version 1.3 of the previously popular micro-video app hasn’t proved to be anything incredible, but it does have new and improved features, such as new camera tools, channels for organising and categorising videos and improved post protection. One of the most significant alterations is the introduction of the ‘Revine’ button, which allows users to share Vine videos that they like to their followers. So in effect, it’s a curating tool that allows Vine to ensure content is shared more often. The categorisation feature is also useful as it allows users to use the Explore tab in order to browse channels, with a further 15 of the latter also added. This allows users to browse videos according to specific themes. Another great new feature is the ‘On the Rise’ stream, which showcases the most popular recent videos. At the moment, the improved app is only available on iOS, but it’s thought that Android users will only have to wait until next week to download the update. Whether it will be enough to answer the success of Instagram videos though, remains to be seen. According to a report from The New American, the US State Department has come in for some heavy criticism after it emerged that the department spent $630,000 to boost Facebook likes for four of its pages. This came in the wake of a marketing push that began with the SD “ramping up its presence on social media” by way of opening Twitter accounts, launching said pages and of course participating in blogging. All sounds fair enough, right? We all know how important social has become to digital marketing overall. However, it seems that the reason it’s not being considered money well spent is that there is no attempt at actually increasing engagement using the increased social presence. According to the report, the initiative, catchily entitled the International Information Programs (IIP) was intended to raise conversation with foreign audiences, in order to boost the USA’s overseas reputation. According to employees of the SD, the department was allegedly “buying fans” and the effort that went into marketing the pages was “largely exaggerated”. The inspector general who generated the official report said that: “the number of Facebook users who “actively engaged” with each page was meagre, with a mere two percent “liking,” sharing, or commenting on any entry within the previous week”. This engagement figure dropped further the following month. “Fundamental questions remain unresolved. What is the proper balance between engaging young people and marginalized groups versus elites and opinion leaders?” The report stated. The news highlights the fact that even the biggest budgets are a fail when it comes to social media if a campaign isn’t carried out or managed correctly. It’s clear that the SD thought that taking shortcuts was a great way to gain ‘provable’ results. However, as we know, with social and digital marketing in general, large numbers of followers that rarely engage with posts are next to useless. Google could find itself in hot water again over its privacy policies, with the possibility of “enforcement action” being taken, according to the UK’s Information Commissioner’s Office (ICO). The statement went on to say that Google has until the 20 September of this year to comply, or risk further action being taken. 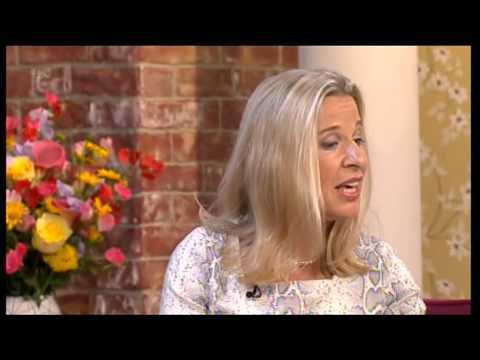 A clip from popular daytime UK television show This Morning has inspired a flurry of Facebook shares, following the appearance of previous The Apprentice contestant Katie Hopkins. Hopkins was being interviewed for the show when she came out with the pretty stupid statement that she won’t allow her kids to play with others that are named ‘Tyler’, ‘Charmaine’, ‘Chardonnay’ or ‘Brooklyn’. This prompted her co-guest, author Anna May Mangan, to call Hopkins an “insufferable snob” and outraged presenter Holly Willoughby. However, Hopkins, who has a reputation for being controversial, didn’t back down and just proceeded to dig an even deeper hole to climb out of (which hopefully she won’t). If you haven’t seen it, do, you’ll be gobsmacked at just how out of touch and up herself this woman really is. If this doesn’t get a woman who frankly, came across as a moron, off our TVs nothing will.